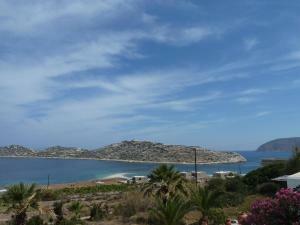 The beach is very close and the view is amazing. The host and his employee (Ophelia) were very welcoming and nice. The city is close by if you have a car. Try the taverna right next to the apartment it's very good, cheap and the service is friendly. The room had ocean view, was very clean and pretty. 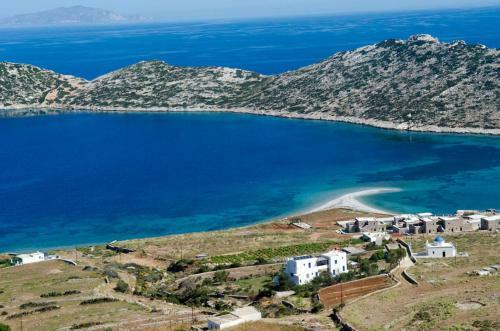 La struttura si trova in posizione decisamente comoda,a metà strada tra Chora (dove vi consigiamo di dirigervi a cena la sera e passeggiare) e Aegiali(per noi più indicata giusto per qualche ora di mare e relax) e suggestiva,con panorama mozzafiato sulla spiaggia di Agios Plavos che dista pochi minuti a piedi.Indispensabile un mezzo di trasporto per muoversi,noi da questo punto dell'isola consigliamo l'auto.Appartamento grande,fresco e ben arredato.Bagno funzionale,balcone con vista mare dal quale non vi allontanereste mai più. Mihalis è una persona disponibilissima e discreta,pronto a soddisfare le vostre richieste. Se dovessi tornare ad Amorgos di sicuro non esiterei a tornare qui. Die eingemauerten Betten waren sehr bequem.Hohe Matratzten,hoher Komfort! 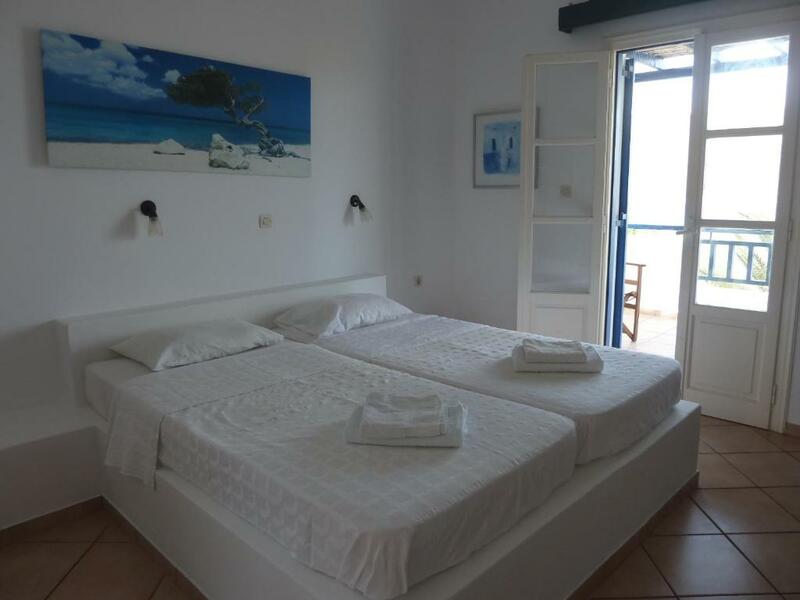 Lock in a great price for Agios Pavlos Studios – rated 8.7 by recent guests! 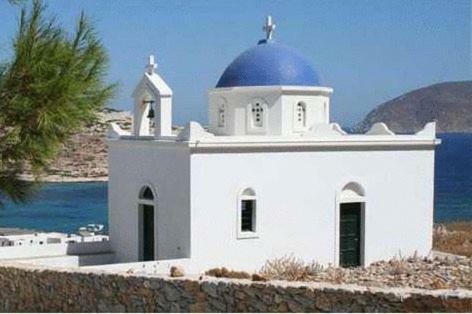 Agios Pavlos Studios are located halfway between Chora and Eghiali, in one of the most beautiful spots on Amorgos. 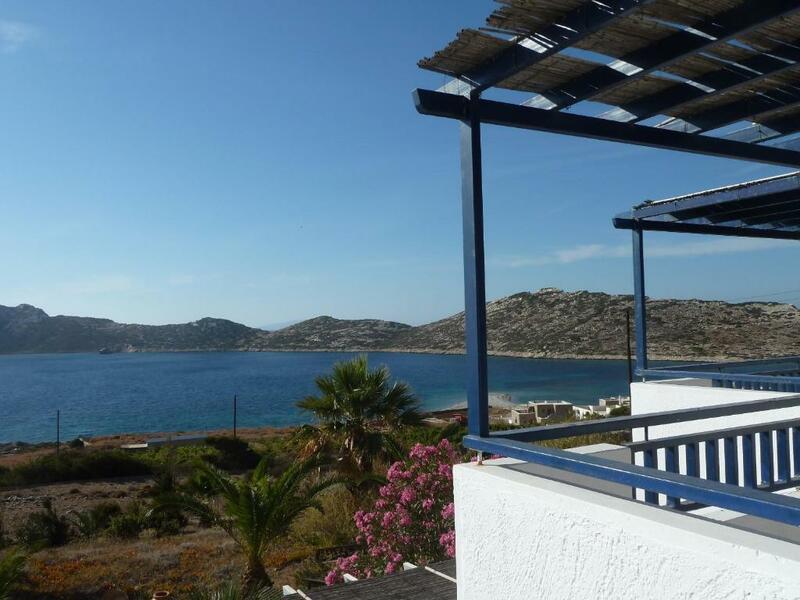 The Cycladic-style studios offer stunning views over the Aegean Sea and the sunset. 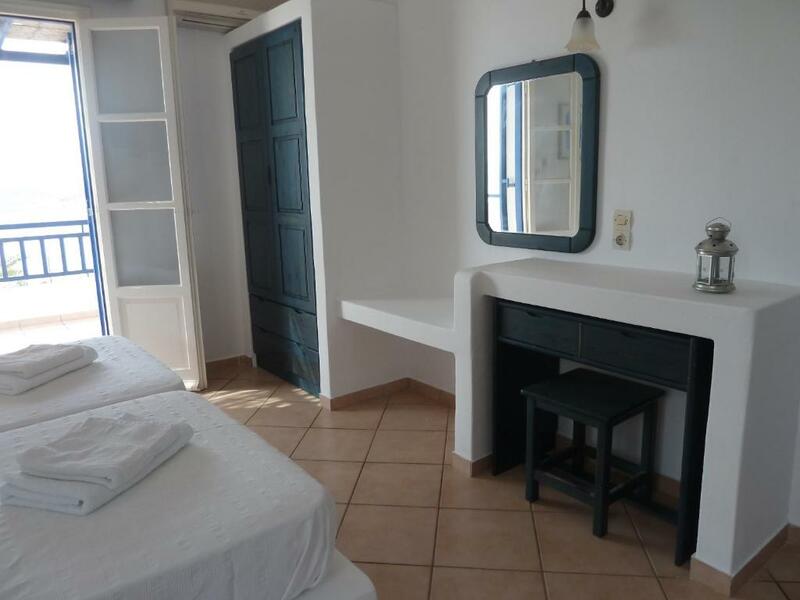 In the classic white and blue building, the Agios Pavlos Studios offer a small and well-equipped kitchenette, refrigerator, air conditioning, and private bathroom with shower, while all have a terrace with pergola overlooking the sea. 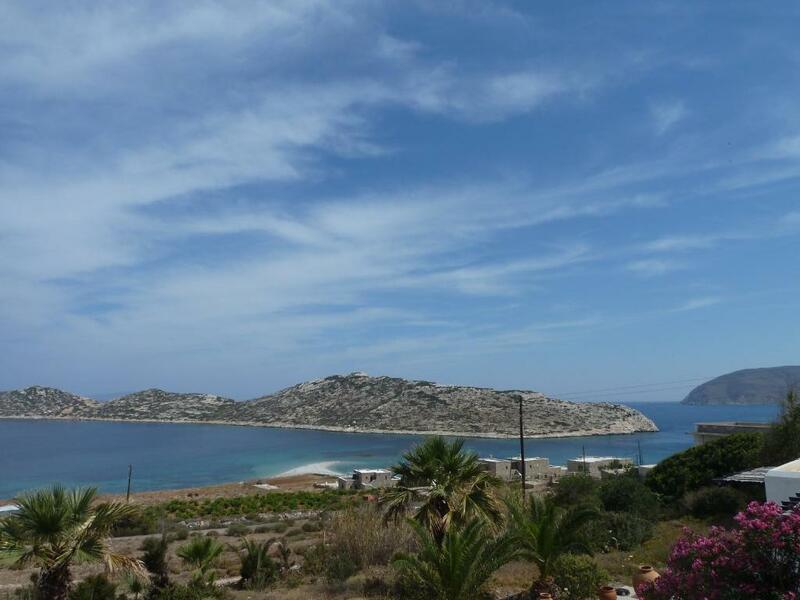 Agios Pavlos Studios are perfect for a swim at the crystal clear beaches of Agios Pavlos and a great base for bus and car island tours. When would you like to stay at Agios Pavlos Studios? 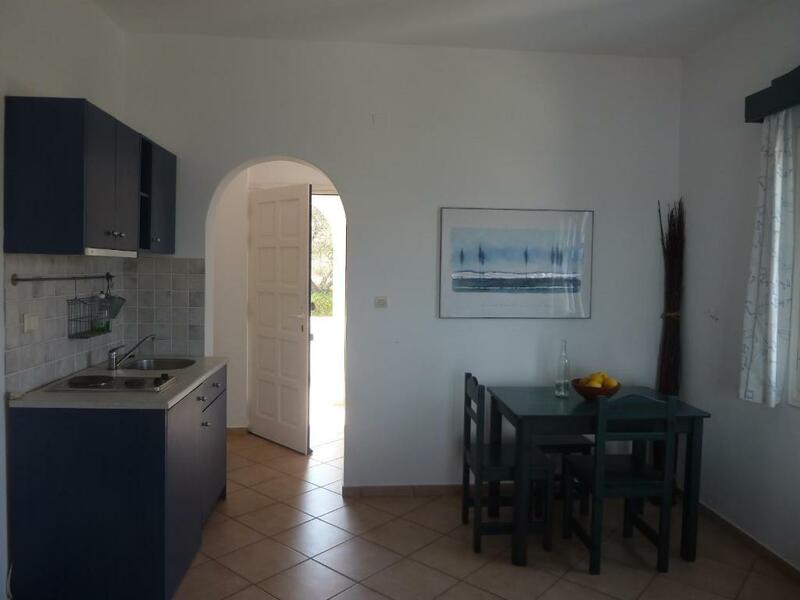 House Rules Agios Pavlos Studios takes special requests – add in the next step! 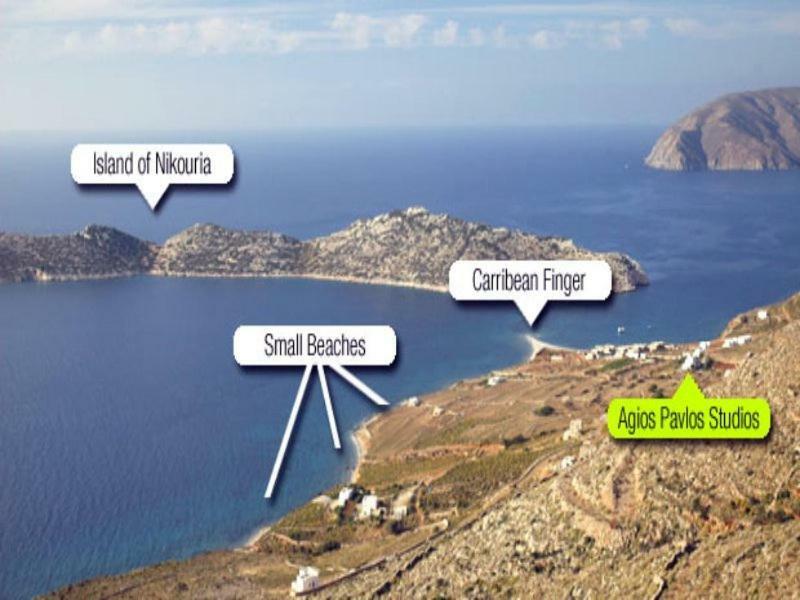 Agios Pavlos Studios accepts these cards and reserves the right to temporarily hold an amount prior to arrival. At the time we stayed in July there were many mosqitos outside and the room has no nets on the windows even in the bathroom. You have to keep all doors and windows close at all times if you want peaceful night. Don't forget to bring mosquito repellent. Cleaning service could be improved. There was no soap in the bathroom or the kitchen. But other than that the room was amazing!